This publication examines how the various components of a pesticide application work (water, pesticide molecules, application equipment). 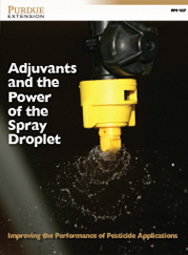 It then describes how adjuvants can enhance pesticide performance and protect against the unwanted consequences of spray drift. The goal is to define what adjuvants do and highlight their value in improving pesticide applications.